What are the penalties for a dog attack? 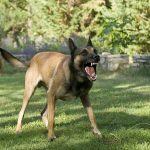 Recent changes in the Companion Animals Act 1998 have increased the penalties for dog attacks in NSW. 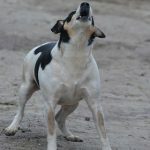 There is a maximum penalty of $11,000 for owner’s of dogs that rush at, attack, bite, harass or chase an animal (other than vermin) whether or not any injury is caused. The owner can be prosecuted even if not present when the incident occurred. If the owner is not present, and another person over 16 is in charge of the dog at the time, the Council can choose to prosecute that person instead; see Ryde City Council v Pedras  NSWCCA. The penalty increases to $44,000 in the case of a menacing, dangerous or restricted dog. Section 23(2)(b) of the Act also gives the Court power to disqualify the ‘convicted person’ from owning a dog for a specified period of time. Section 23(5) says that a guilty person can be disqualified even if the Court chooses not to give them a criminal conviction; in other words, if the Court deals with them under a ‘section 10 dismissal or conditional release order‘ (no conviction). The maximum penalty increases to $22,000 and/or 2 years imprisonment where the ‘attack’ resulted from a ‘reckless act or omission’ by the owner, or by a person in charge of the dog. The maximum penalty in the case of the above categories of dogs is $55,000 and/or 4 years imprisonment. Section 23(1)(a) says that any conviction or finding of guilt means that the owner must be permanently disqualified from owning a dog. This means that the dog will be seized and the owner will not be able to get it back. The dog will eventually be ‘destroyed’ if not rescued by an animal welfare organisation, and the owner will never be able to own another dog. 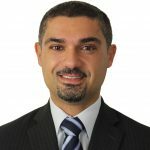 The maximum penalty increases to $77,000 if an attack by a dog from the above category is a result of the owner’s failure to comply with the ‘control requirements’ under section 51 or 56 of the Act. Those requirements include keeping the dog in an approved enclosure unless muzzled and leashed in the case of a dangerous dog, or enclosed in a manner that is sufficient to restrain the dog and prevent a child from accessing it in the case of a menacing dog that is not under the effective control of an adult. (d) in the course of working stock, or training to work stock. There is a maximum penalty of $22,000 for anyone who ‘sets on or urges a dog’ to attack, bite, harass or chase any person or animal (other than vermin). Section 23(2)(c) gives the Court power to disqualify a guilty person from owning a dog for a specified period of time. The maximum penalty increases to $77,000 and/or 5 years imprisonment where the person encourages a dog from the above category. The defence of ‘honest and reasonable mistake’ can be used to reduce the charge to 17(1). In other words, if the person was honestly unaware that the dog was from any of those categories and that belief was reasonable, the lower penalties under 17(1) apply. Section 23(1)(b) says that a guilty person must be permanently disqualified from owning a dog. (d) in the course of lawful hunting. (c) is reckless as to the injury that may be caused by the act. Grievous bodily harm is defined as harm of a ‘really serious kind’, and can include any disfigurement of the face, permanent disability, fractured bones etc. An ‘omission’ can constitute an ‘act’ for the purpose of the section. So, for example, an owner of a ‘dangerous dog’ would likely be guilty if they purposely left an enclosure open knowing that it could lead to an attack. The maximum penalty is 5 years imprisonment where ‘actual bodily harm’ is caused. Actual bodily harm is defined as any injury which is not ‘transient or trifling’. Examples include any bruising, cuts, abrasions etc that last more than just a day or two. 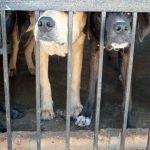 Section 23(1)(c) of the Companion Animals Act requires anyone that is guilty under section 35A of the Crimes Act to be permanently disqualified from owning a dog. What is a ‘Dangerous Dog’? 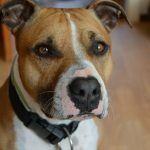 Is Encouraging A Dog To Bite Assault in NSW? Can I Fight A Dog Destruction Order?